Ecommerce email marketing is one of the best ways to generate sales for your store. You can send emails manually or you can set up a complex automated workflow. Either way, your goal is to build relationships. When you start ecommerce email marketing, there are many types of emails to consider. From welcome emails and cart abandonment reminders to transactional emails and promotional newsletters, every email you send is an opportunity to make a connection with your customers. plus we’ve created a bunch of ready-to-use templates that you can grab today – for FREE. As digital marketing evolves and chatbots started to play an important part in communicating with customers, it’s rightful to ask: “Is email marketing still important?”. Let’s be honest, email is probably the best way to stay in contact with your customers and leads. People are using their smart phones to check emails, so it became much easier to reach them in real-time. 72% of people prefer receiving promotional content through email, compared to 17% who prefer social media. 24% of visitors from email marketing buy something as compared to 2.49% of visitors from search engines and 0.59% from social media. For every $1 spent, email marketing generates $38 in ROI. Email marketing drives more conversions than any other marketing channel, including search and social. Still not convinced? According to VentureBeat, among all channels, email generates the highest ROI for marketers. Check out the chart below. Your contacts get tons of emails in their inbox every day. You want to make sure they will not simply sift through your email, but actually open it. Whether or not your email is opened depends mostly on the subject line. In fact, 35% of people report opening email based on the subject line alone. One basic rule for subject lines – keep them short! The end of your subject will get cut off if it’s too long. Try to stick to 50 characters. Using personalization in the subject line, such as a first name or company name, can encourage customers to open your email. Using questions and action-oriented verbs are also helpful, but there’s no rule that works for every ecommerce store. I suggest you to spend time perfecting your subject lines. According to Litmus, readers spend 3-4 seconds deciding if they are going to view your email. It means you only have 3-4 seconds to get their attention. Testing your subject lines on colleagues and seeing their reactions can be a good idea. The most important thing is to A/B test your subject lines and analyze what works best for your store. Beyond your subject line, the email address and the display name you use also have an impact on whether people will open your email. For ecommerce stores, the best – and most common – way is to use your store name as the “From name”. For your email address, one word of caution, don’t use “noreply@company.com”. 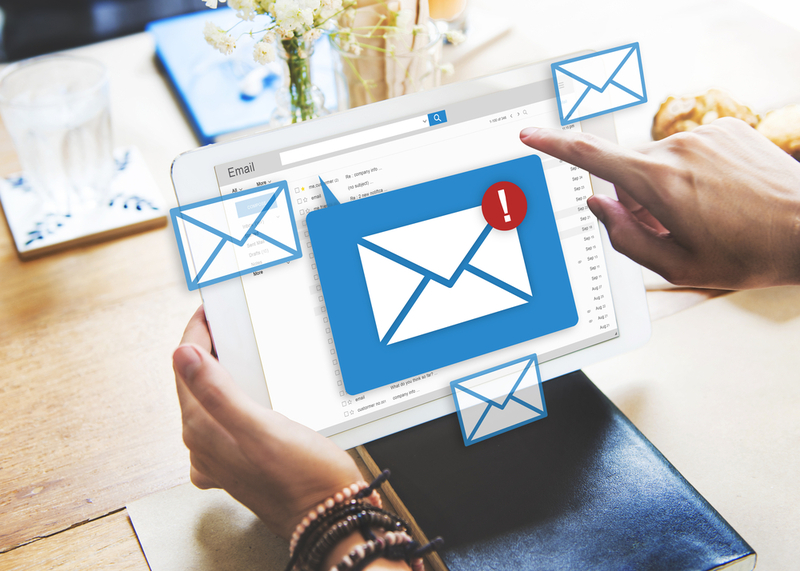 You should always give your customers the opportunity to connect with you by simply replying to your emails. Using a nice design is also very important. Remember to make your emails mobile-friendly, many people check their email on their phone or tablet! You can discover the list of inspirational sources for your newsletter design ideas in this article. Lastly, if you want to get more clicks, add a clear CTA to the end of your email. Ok, now let’s take a look at some of the best examples of emails for ecommerce email marketing. Most people expect to get a welcome email when they subscribe to your email list. You should never skip this step. The best practice is to provide a special offer to your new subscribers, for example, free shipping or 10% off. In your welcome email, explain what your customers should expect to get from your emails. Promotions, newest arrivals, maybe some fashion tips? It’s also good to say how often you will be emailing. I love Ann Taylor’s email because it’s simple and elegant and the offer is highlighted. There’s no chance to miss the $50 off promotion. Boden’s email is a great example because it starts with a short introduction that makes the reader feel special, especially this part: “shop our legendary sales before anyone else”. It really makes me want to see these legendary sales! They also know that a discount offer is an essential part of welcome emails, offering 15% off. Bonobos decided to keep their email very simple: no photos, no introduction, only a promotion and a clear call-to-action. What’s great about this email is that they are giving 20% off, and they are going a step further by also offering free shipping on the first order. Shipping cost is a common reason for shoppers to abandon their carts. Combining a discount with free shipping makes a very enticing offer to welcome new customers. Navabi has not only one, but a serious of welcome emails to get to know them and remind readers about their exclusive offer. I love it! This email from Fab is another great example for welcome emails. Simple and clear! They squeeze a very short introduction into the email, then the offer. Including a deadline when your offer ends is a best practice to encourage immediate action. Although there isn’t an exclusive offer in Aritzia’s welcome email, it’s worth taking a look at it. It’s a great example for introducing your business and brand. They also give readers the chance to stay in touch by following them on social media. The goal of promotional emails is to sell. You want to encourage new subscribers to make their first purchase. You can also send promotional emails to existing customers with upselling and cross-selling offers that encourage repeat business. To learn more about upselling, cross-selling and down-selling, check out this article. SheIn offers 40% off to existing customers on their next purchase to show you how much they appreciate their customers. One note regarding using a similar email, be sure to wait a few weeks between the order and the email. Many customers won’t be ready to make another purchase immediately. Here’s another special offer, from DODOcase, that encourages visitors to return to their site and make a purchase. This email from Rifle Paper Co. is simply beautiful. My favorite part of the email is that instead of giving a deadline, they confidently say “these bags won’t last long”, encouraging an immediate purchase while highlighting the quality of their products. This email from J. Crew is a little bit different than the previous examples and much longer. It goes beyond direct promotion and helps customers solve a problem. They show three ways to put together an outfit with their leopard print skirt and guide readers to shop the different styles. This saves customers time and makes it more convenient to purchase a matching outfit. Plus, at the end of the email, there’s an offer with a reminder that the 40% off sale ends today. Let’s see another approach from Loft that’s also a little bit different. They’re not actually selling anything in this email. Instead, they announce that a special sale will start tomorrow. It’s a great way to draw interest and encourage more people to open the email which is sent on the day of the sale. Cart abandonment emails are sent to people who add some items to their cart but leave your store without buying. The latest global cart abandonment rate is 76.9%, nearly 80%. In other words, 8 out of 10 visitors who add an item to their cart will leave the store without buying. It shows that you can’t forget about these emails. Cart abandonment emails usually contain a reminder and often include an incentive as well. This can be a discount, coupon or free shipping. Let’s take a look at some examples of cart abandonment emails. Google Express simply sends a reminder including the items in the abandoned cart and a call to action to “Check out now”. Casper takes it a step further, including a great review to make sure you have no doubt about their product. Kate Spade uses a 15% discount in their cart recovery email to convince visitors to complete their purchase. They also personalize the email giving readers some recommendations based on the items in their cart. J. Crew also reminds customers about the items they abandoned in their cart. What makes this email special? That tiny red note: NOW ON SALE. This can be a much more subtle and powerful way of encouraging a return visit compared to a direct discount or coupon. Transactional emails are the emails you send to your customers after they complete a purchase. Typically, this is an order or shipping confirmation. These emails have extremely high open rates compared to promotional emails because they are related to a purchase and customers expect to receive a confirmation. Blue Bottle’s email is great because they include every detail in the email and they also give you the opportunity to contact them with any questions. Remember, every email is an opportunity to build a relationship with your customers! This email from Stradivarius is good because they provide customers a link to track their order. It clearly explains what’s happening next, so buyers know exactly what to expect. Huckberry’s email confirms the order and entices customers to share Huckberry with others as a way to earn store credit. Why not? Sounds interesting! Also, at the end of the email, they show you what products are trending right now. This is another best practice to note. When you don’t have a lot of data for personalization, showing bestsellers and hot products is a great way to encourage repeat business. Like order confirmation emails, shipping confirmation emails are another opportunity to express your brand and business to your customers. I like Fitbit’s email because of the friendly tone they use. Also, it has a very clean look. The design and content are minimal, with no unwanted information. Tradesy’s shipping confirmation email gives customers a chance to invite their friends and receive a discount on their next purchase. With this approach, you encourage repeat business, plus you get more customers. It’s truly a win-win! Now that you’ve seen some great examples of ecommerce marketing emails, you can start improving the emails for your ecommerce store. We’ve prepared three simple templates for each type of email to make it easy for you to get started. Download them now and start using them – totally FREE! Take a moment to customize them a little bit, so they truly reflect your business and brand. Then A/B test to see what works best for your customers. How to build a healthy email list? Now that you know how to write effective emails, let’s see a few tips to get more email subscribers. There are luckily many ways to build a healthy email list. A healthy email list contains visitors who are actually interested in your products. You can add a newsletter subscription box to the footer of your website. If your visitor wants to subscribe, s/he will probably look for a subscription box there. It’s good to have it, but don’t expect too much subscribers from this box. Here’s an example from Best Buy. Another way to promote newsletter signup is using a sidebar form. A sidebar appears on the right or left side of your page and sticks there while people are browsing the page. It doesn’t disturb visitors while they’re reviewing a product on your site. OptiMonk’s sidebars are especially great because you segment visitors to make your sidebars even more effective. Coupons and discounts are great at convincing visitors to subscribe to your email list. Displaying a discount on a popup is a common practice and very effective. Here’s a beautiful example from Mydeal.com.au where they provide a $10 coupon in return for signing up to their email list. Free shipping is another great incentive to encourage visitors to sign up to your email list. In the example below, OKA’s popup gathers email addresses by promoting free UK standard delivery. If you don’t want to offer a discount, you have other options, for example you can promote a free eBook as an incentive. When the information is valuable and the content is relevant, visitors are happy to provide their email address in exchange for the download. Here is a good example from BOOM!ByCindyJoseph.com, the cosmetics retailer. You can steal their idea and try to write useful tips for your audience. Ecommerce email marketing is a vital part of running an ecommerce store. Every communication you send is important. From a welcome email with exclusive offers to an order confirmation with a big “Thank You” and further recommendations – each email is an opportunity to build a relationship with your customers and encourage repeat business. 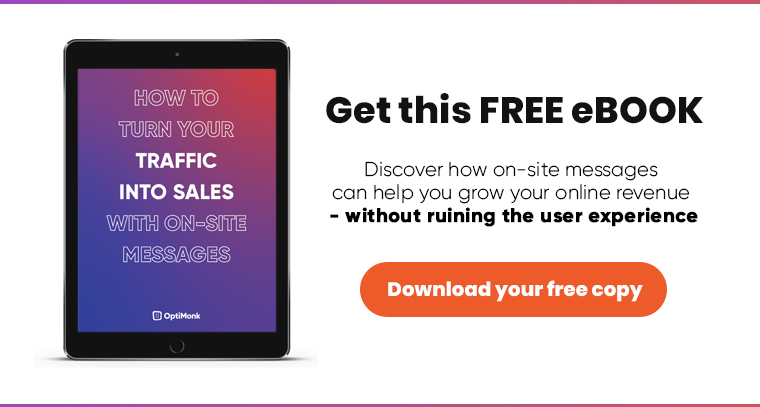 I’ve shown you why is email marketing important, how to build a healthy email list and the basics of crafting a good ecommerce email. I’ve reviewed some of our favorite examples and we also looked at some best practices. One more note to remember: always provide something of value to your customers. Discounts are great to encourage purchases. When it comes to building a relationship with your customers, white papers and articles with specific knowledge like this one can also be very helpful! By sharing your expertise and supporting your customers with great deals and offers, you can build more long-lasting relationships. Plus, ecommerce email marketing gives you a chance to express the style of your brand and business – so have fun! Which real example was your favorite? Let us know in the comments! Editor’s Note: This post was originally published on February 21, 2017 and has been updated for accuracy and comprehensiveness. How did you know, that I was searching for ecommerce email templates just 3 hours before getting your newsletter? Couldn’t be a better timing! There are some good solutions out there. I am using Triggmine, pretty happy with it. Before this used Klaviyo. Thanks for the heads up this is most useful. A good collection of email templates. I was looking for cart abandonment sort of email templates where customer also gets to know about what was buying. While the template is good but automating it is going to be difficult. Is it possible to do that on WooCommerce? Can you recommend me a good plugin? Great Inspiration. Awesome tips. As a real estate firm, we are planning for a digital marketing agency to promote our business online. Here I got great tips to implement in our email marketing templates to reach our potential customers. Thanks for sharing.